Is it a case of one-upmanship or alternative facts? Premier Christy Clark’s “LNG fixation has shortchanged other sectors” according to a Business in Vancouver story. Although UBC’s Werner Antweiler says the “government can’t be faulted for companies postponing investment decisions”, NDP leader John Horgan “is less forgiving”. Meanwhile Jock Finlayson, of the BC Business Council says while “the prospect of LNG remains alive… it is clear the government over-promised when it talked about five LNG plants by 2020″. In an apparent game of My Dad, Your Dad one-upmanship, the recent Chatham House report claiming that “burning wood for electricity is worse than coal”, which sparked a backlash from 125 academics stating the “research was deeply flawed”, is now being countered by another group of 50 scientists who say the critic’s “accounting” is akin to “alternative facts”. In wood product news, Vancouver architect and tall wood champion Michael Green is featured in the Georgia Straight; the BC government is requiring balcony sprinklers on all new wood-frame residential buildings; and a new wood substitute product is being introduced in the Philippines with claims that it will “lessen the number of trees cut for lumber”. Finally, Apple in 2015 purchased more than 32,400 acres of forestland in North Carolina and is now harvesting output “equivalent to 30 percent of Apple’s product packaging needs”. WHISTLER, BC – The Forest Products Association of Canada (FPAC) has become Corporate Partner of the Federation of Canadian Municipalities (FCM) to help advance shared priorities in the areas of economic growth, innovation and sustainable land-use management. “In many rural and northern communities across Canada the forest sector is a critical driver of the local economy” says FPAC CEO Derek Nighbor. “But we bring real benefits to all cities through the innovative products we make as well as the environmental benefits with a sustainably managed forest”. Nighbor adds, “We look forward to working with FCM in driving an agenda which is good for the environment and the economy.” “Canada’s forest sector provides more than 230,000 jobs in over 200 communities across the country—including many rural communities—so FCM welcomes them as a corporate partner,” said FCM president Clark Somerville. It was the cornerstone of Premier Christy Clark’s BC Jobs Plan in the lead-up to the 2013 election. A new liquefied natural gas (LNG) industry would create 39,000 construction jobs and $1 trillion in GDP growth over 30 years, and would generate enough tax and royalty revenue to build up a $100 billion prosperity fund. …NDP Leader John Horgan is less forgiving. He said the Liberals fixated on one industry to the exclusion of B.C.’s other natural resource sectors. “The problem here is that this government has pursued LNG at the expense of our foundational industry: forestry. The government’s been chasing its tail in a market that we knew three years ago was saturated.” Finlayson agreed that the Liberal government appears to have neglected B.C.’s forestry sector. Sawmills and pulp mills have closed, and B.C.’s three biggest forestry companies have invested so heavily in the U.S. that they now own more mills there than in Canada. Millar Western Forest Products is in talks for a refinancing deal that will make a U.S.-based company the majority stakeholder. The proposed agreement would see Connecticut’s Atlas Holdings LLC, currently a major noteholder in Millar Western, increase its holdings to 80 per cent of company equity while the Millar family would maintain 20 per cent. It involves a complex transaction, whereby current noteholders exchange their existing notes for ones of lower value but higher security. This will have the effect of significant debt reduction, said Janet Millar, director of communications for Millar Western. SEELEY LAKE – Twenty years ago, Pyramid Mountain Lumber Inc.’s sawmill and planer ran 80 hours per week. Production time has now decreased to 40 hours at the sawmill and 60 hours at the planer per week. Chief Operations Officer Loren Rose credits technology for reducing the number of hours and people operating the mill and planer while still increasing production. …Due to the lack of qualified applicants, Pyramid has temporarily abandoned the idea of two, 40-hour shifts at the planer and 50 hours at the sawmill even though they have the material to run. They are also trying to fill three management positions due to retirements. …Nearly half of Pyramid’s employees have been with the company less than five years with half of those working for Pyramid less than two years. Pyramid is hosting lunches with their employees of five years and less to find out what Pyramid could change to make their job better. Heyfield timber mill: What’s happening to Australia’s largest hardwood sawmill? 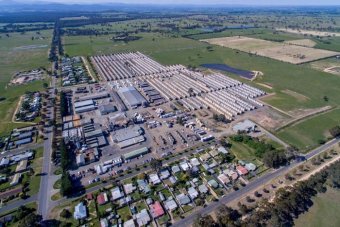 The fate of 260 workers at Victoria’s Heyfield sawmill will be revealed on Friday after the board of Australian Sustainable Hardwoods (ASH) met to consider whether to close the mill down. The workers could lose their jobs as early as September if the mill closed and locals said the Gippsland town would struggle to survive without it. The largest hardwood mill in Australia processes native regrowth timber supplied by the state-run logger VicForests, but its long-term contract is up in June. The company claimed a three-year supply deal offered by VicForests — which would have halved the amount of timber supplied to the mill – was not financially viable. VicForests made a new offer to ASH on Tuesday afternoon, but the details of that offer were not yet known. Prince George Fire Rescue is welcoming a move to make mandatory fire sprinklers on the balconies of all new wood-frame residential buildings four-storeys and taller . The measure will come into effect on July 20, the provincial government said Wednesday. “This is a great thing, for sure,” PGFR chief fire prevention officer Marcel Profeit said in an interview. “An unprotected wood balcony is an extremely easy way for a fire to spread floor to floor.” He said a dry-pipe system can be used in cold northern climes to prevent pipes from getting clogged with frozen water and bursting… He also said the U.S.-based National Fire Protection Association had launched a campaign to make sprinkler systems mandatory in all new homes. He said the systems are designed to keep fires from spreading and, contrary to popular belief, won’t causing extensive flooding. An update to the BC Building Code will require fire sprinklers to be installed on the balconies of all new four-storey wood-frame residential buildings. Under the current BC Building Code, sprinklers generally are not required on balconies or in attics in residential buildings four storeys and under, but are generally required in residential buildings greater than four storeys. The updated 2015 National Building Code, on which BC Building Code updates are based, requires sprinklers on balconies of four-storey residential buildings. Although the next edition of the BC Building Code is not scheduled to be adopted until late 2017, the Province is taking steps to adopt the new sprinkler standards sooner. When the Empire State Building was completed in New York City in 1931, it was the tallest building in the world… But could a structure the size of the Empire State Building be built of wood, which is a far more sustainable and renewable material? Vancouver-based Michael Green Architecture and a Finnish company, Metsä Wood, tried to answer that question in 2015… “We did the analysis and the engineering with our partners with Equilibrium [Consulting] here in Vancouver and determined you could,” Michael Green told the Georgia Straight. “It’s not so much that you should build 102 storeys in wood. But when people start to get used to the idea that you could, it means they get a lot more comfortable with 16 storeys and lower buildings in wood.”… He pointed out that Paris held an innovation competition last year to develop environmentally responsible buildings on 21 sites. According to Green, 17 of the winning bids were for heavy timber wood structures… Green is also offering advice to the office of Oregon governor Kate Brown on promoting more tall wood buildings in her state. He and architect Jim Taggart have coauthored a soon-to-be-released new book, Tall Wood Buildings, which will provide 13 case studies of wood buildings around the world. The provincial government has announced fire sprinklers will be required on the balconies of all new four-storey wood-frame residential buildings effective July 20. The update to the BC Building Code comes after the Dec. 11 Paddington Station fire that destroyed the top floor of an upscale multi-unit complex in Langley City, which the fire department blamed on a balcony fire and lack of sprinklers. “If this building (Paddington) had sprinklers on the balconies and in the attic, this fire likely would not have spread into the attic space,” a report by fire chief Rory Thompson said. …Architect Thomas Robinson kick-started his career with Joseph Esherick, the architect best known for designing the Hedgerow Houses at Sea Ranch, California, followed by stints leading institutional and cultural projects at Herzog & de Meuron in Switzerland and Allied Works in Oregon. Over the past eight years, his firm has grown to 18 employees. A winner of the USDA’s U.S. Tall Wood Building Prize, LEVER Architecture has found a niche working with cross-laminated timber (CLT). 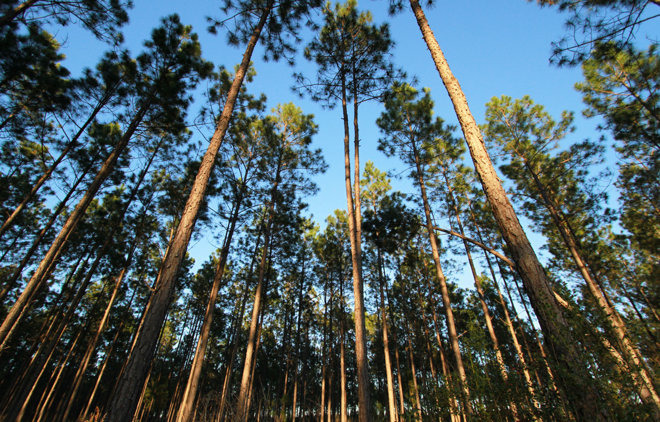 “Timber is often hidden away,” Robinson said. “We want [timber] to be part of a greater architectural experience.” While mass timber construction isn’t new—according to Robinson it has been around since the 1930s—there is a rediscovering and understanding of the technology coupled with modern advances in fire safety, seismic engineering, and acoustics that has made it more feasible. SIAM Cement Group (SCG) introduced its SCG Smartwood Cement and SCG Portland Cement to the Philippine market on Wednesday during the Philippine World Building and Construction Exposition or WorldBex 2017 at the World Trade Center in Pasay City. …SCG Smartwood and SCG Portland Cement also contribute to the well-being of the environment. Phaskorn said SCG Smartwoods lessens the number of trees cut for lumber and other wood products. The production of SCG Portland Cement, on the other hand, involves the rehabilitation of its quarrying sites. 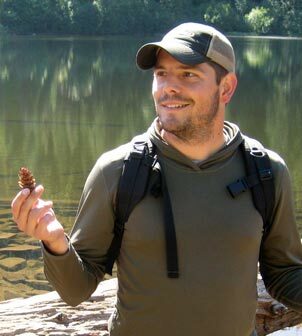 An experienced forest worker was concerned that Tolko had not removed all the trees it felled to trap Douglas-fir bark beetle before the insects emerged and that some of its harvest practices increased the infestation level in ungulate winter range in the Upper Salmon River area. Douglas-fir bark beetle is normally present at low levels in ecosystems containing mature Douglas-fir but can increase to epidemic levels given the right conditions. Good timber harvest practices can control an epidemic but poor practices can create or intensify an outbreak. This report examines Tolko’s management of the Douglas-fir bark beetle outbreak, its harvest practices, and if it complied with requirements for ungulate winter range. To mark Canada’s 150th birthday, we are counting down to Canada Day with profiles of 150 noteworthy British Columbians. This former Seaforth Highlanders cadet was perhaps the best combat commander Canada ever produced. Bert Hoffmeister’s men told an apocryphal story that Hoffmeister’s batman was recommended for a Victoria Cross just for following him around the battlefield. …He was awarded the Distinguished Service Order, the Order of the British Empire and Order of Canada. On his return to civilian life, he became president of MacMillan-Bloedel. Later, he chaired the iconic forest company’s board. He was B.C.’s agent general in London, chaired the Council of Forest Industries, and late in life turned from cutting trees to saving them as founding chair of the Nature Trust of B.C. WASHINGTON — Military spending would get the biggest boost in President Donald Trump’s proposed budget. Environmental programs, medical research, Amtrak and an array of international and cultural programs — from Africa to Appalachia — would take big hits, among the many parts of the government he’d put on a crash diet….. If Trump gets his way, there will be more losers than winners among government departments and programs. …Agriculture Department. A nearly 21 percent cut, or $4.7 billion, achieved in part by cutting land acquisition in the National Forest System, rural water infrastructure and statistical capabilities at the department. Trump also proposes reduced staff in county USDA offices, an idea that fell flat in Congress when President Barack Obama proposed a similar reduction. It was not an easy decision for Oregon State Treasurer Tobias Read to go against Gov. Kate Brown on the Elliott State Forest at last month’s State Land Board meeting. But ultimately, his responsibility to Oregon’s students led him to support the sale of the public land to Lone Rock Timber Management Company, the Cow Creek Band of Umpqua Tribe of Indians and the Confederated Tribes of Coos, Lower Umpqua and Siuslaw Indians. His vote surprised Brown and environmentalists who hope to keep the forest publicly owned. …“The elements I described give us more ability to meet our fiduciary responsibility and adhere better to things people would like to see for the Elliott in maintaining access and conserving the forest so people can continue to have access into the future,” Read said. …The “clearcuts for kids” model of using logging, grazing and mining to fund education may have made sense in 1859, but in 2017 it is as out of date as covered wagons. As we search for a better solution for the Elliott, it is worth remembering that $300 million — while a lot of money to me and you — is a drop in the bucket when it comes to the state’s annual spending on education (proposed at $5.35 billion per year in the governor’s current budget). Is it really wise to forever trade away the recreation, hunting, fishing, wildlife and climate mitigation values of the Elliott State Forest for the $220 million price that the Land Board is considering (barely 4 percent of the annual school budget)? POLK COUNTY — The Association of O&C Counties is asking the Bureau of Land Management for a correction in the amount of O&C timber receipts sent to 18 Western Oregon counties in January. The correction could mean almost $1.4 million total could be added to the nearly $19 million paid to counties, including $30,000 more to Polk County. The association believes the BLM applied the Congressional Budget Control Act inappropriately when it “sequestered” the $1.4 million, which amounts to 6.9 percent. “O&C counties are entitled to these revenues, which are critically important for our county governments to continue providing essential public services,” said Tim Freeman, Douglas County Commissioner and AOCC president, in a press release. Dubbed a sustainable harvesting initiative, Apple in 2015 purchased more than 32,400 acres of forestland along the Mattawamkeag River in Maine and over 3,600 acres of pine and hardwood forest in Brunswick County, North Carolina through The Conservation Fund’s Working Forest Fund. New statistics shared with the Triangle Business Journal on Wednesday show harvesting output from both forests in 2016 was equivalent to approximately 30 percent of Apple’s product packaging needs in 2015. Specifically, the 13,000 metric tons of wood were processed into virgin fiber, which was then used to make boxes, bags and other materials. In addition to wood, Apple’s program created jobs more than 30 jobs in the Brunswick Forest region, says Jena Thompson Meredith, vice president of business partnerships at The Conservation Fund. 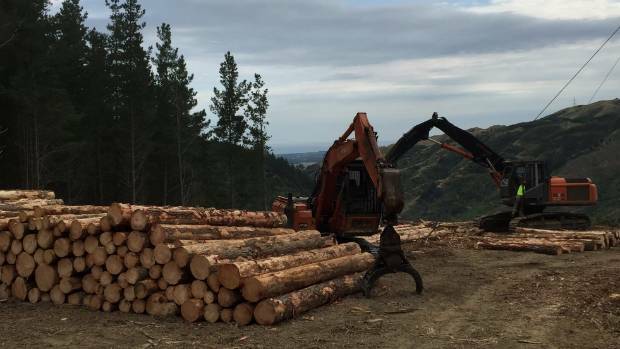 A person has died in a work related forestry incident in the Whatatutu area of Gisborne today. Police were alerted to the incident just after midday. Police are making enquiries into the death on behalf of the Coroner.“Work related forestry death in Gisborne” A person has died in a work related forestry incident in the Whatatutu area of Gisborne today. Police were alerted to the incident just after midday. Police are making enquiries into the death on behalf of the Coroner. 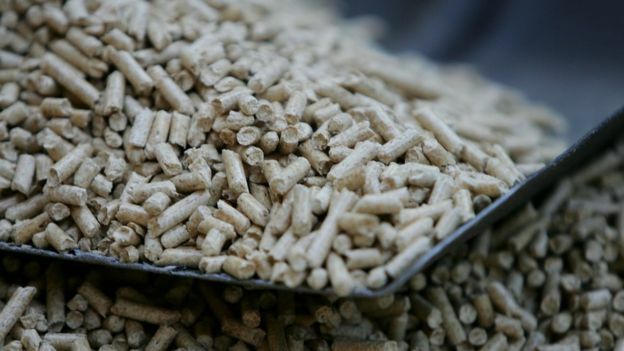 A recent Chatham House report claimed that burning wood for electricity is worse for the climate than using coal. It sparked a backlash from a group of 125 academics in the field who said the research was deeply flawed. Now supporters of the original study have hit back, saying that to avoid dangerous warming the world needs to plant more trees, not burn them. Producing electricity from burning biomass such as trees has boomed in recent years, with the amount of energy generated doubling between 2005 and 2015… Prof William Moomaw was a lead author for the Intergovernmental Panel on Climate Change (IPCC) report on renewable energy in 2010… “Until about six years ago I bought into the notion that because another tree grows it’s carbon neutral, it’s so comforting!” he told BBC News. “But it’s like saying I had £100,000 in my bank account, and I spent it all on a Ferrari – but it’ll be ok because in my lifetime I’ll have £100,000 in my bank sometime in the future. This accounting is troubling.